Alternatives to traditional white/whole wheat flour based pastas are increasing in popularity, especially ingredients made with legumes. Black bean pasta is lower in carbs and higher in protein and fiber than standard pasta, and is typically vegan, gluten-free, organic, and non-GMO . It also tends to absorb sauces better, so you can incorporate more flavor into your dishes. When looking to buy black bean pasta, check for names such as Explore Cuisine®, Lensi®, Ancient Harvest®, Zeroodle®, and Tolerant®. 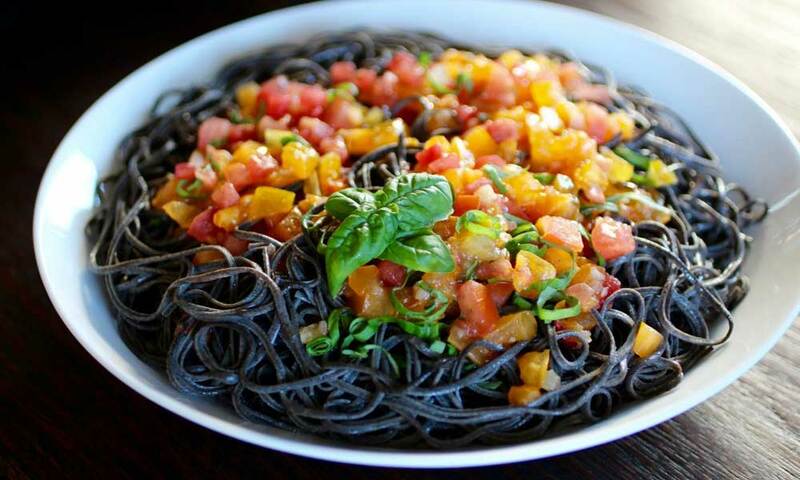 Below we highlight the best places where to buy black bean pasta. Can I buy Black Bean Pasta at Grocery Stores? As with chickpea pasta, black bean pasta is slowly becoming available at well-known supermarkets. Stores with considerable vegan and gluten-free inventories, including Acme, SuperFresh, Giant, Whole Foods, and Wegman’s are good places to check, if there is a location near you. Trader Joe’s is also a terrific option, and has been known to carry black bean rotini. They do not list black bean pasta on their website but you may want to call the closest location at the above blue link. Can I buy Black Bean Pasta at Warehouse Clubs? Possibly. Of the three big warehouse names, Costco seems like a viable choice, while Sam’s Club and BJ’s may still not carry it. Keep in mind that regional and local preferences often affect what these types of stores sell, so if you don’t find it, see if they’ll consider including black bean pasta. Instacart offers online shopping experiences for several of these warehouse clubs. Can I buy Black Bean Pasta at Health Food Stores? As black bean pasta gains consumer interest, so does shopping options. 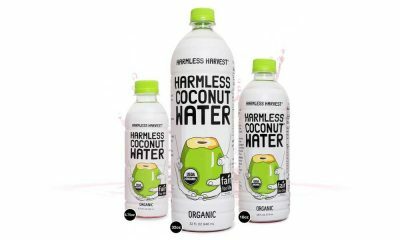 VitaCost currently carries a couple of selections online. Thrive Market, a membership site for organic, natural food and household products, also features it. Can I buy Black Bean Pasta at Target? Target carries the Ancient Harvest POW!™ line of gluten-free pastas made from grains and beans, but the black bean selection seems to be unavailable. Check with your neighborhood location about when/if they will getting it back in stock, and what the in-store and online ordering options will be. Can I buy Black Bean Pasta at Walmart? You can order black bean pasta through third-party vendors at Walmart’s website. This may be a convenient and cost-effective option for purchasing 6-packs of 8-oz. pouches or boxes. Walmart has been steadily increasing once-hard to find food options, so it may also be worth checking shelf items, if you’re at one of their locations. Browse Amazon, for single packages, multi-packs, and variety packs that include other legume pasta with the black bean selection. Many are eligible for free shipping, if part of a $25+ order. Black bean pasta listings are available under “Buy it Now” at eBay, and some options also include free returns, along with free shipping. Find multi-packs of the spaghetti, fettuccine, penne, rotini, and elbow shapes here. Visit Tolerant for recipe ideas, nutritional information,, and to know where to buy their black bean pasta. Zeroodle has similar content, along with their own shopping cart, so you can directly purchase from them. We hope you have enjoyed this article on Where to Buy Black Bean Pasta and that you’re inspired to try something new, or stock up on a favorite recipe ingredient!